Ketamine for Savannah Cats or servals is never a good choice. Savannah cats usually have surgery at some point in their lives; even if it’s a neuter or spay. Quite often this can be a simple routine neuter or spay procedure. Many breeders will tell their kitten owners this but not many breeders know why. They simply say don’t. Many of the reasons and smarter choices are discussed below. However, the main reason is that there is no way to reverse the effect of Ketamine if there is any reaction. Ketamine is also known by the brand names of Ketaset®, Ketaflo®, Vetalar® or Vetaket®. Veterinarians use it as a ‘cocktail’ to sedate a cat pre-surgery somewhat, depending on the veterinarian practice. Vets use sedatives or tranquilizers before the anesthesia as a first step. The cocktails sedate and calm the cat for ease of applying the mask. They also allow for a smaller amount of general anesthetic so there is less vomiting and quicker recovery period. Ketamine does have some cardiac effects and can lower the seizure threshold. Also, ketamine can change a cat’s personality, temporarily, or permanently. Once ketamine is in your cat’s system, there is no way to reverse* the effects. So, if there is a complication, such as not breathing, the only option is supportive care until the ketamine wears off or worse. As a Savannah owner, you owe it to your cat to educate yourself and insist on a different method. In the extreme, a different veterinarian if it comes to your Savannah’s safety. Ketamine is in a class of drugs known as dissociative hypnotics and is much like the street drug PCP. It works by disrupting the central nervous system and induces a cataleptic state. Ketamine is hallucinogenic. There are two different types of gas anesthesia that are safe for Savannah cats; sevoflurane and isoflurane. One of the newest anesthesias on the market is Sevoflurane. It is a fast-acting anesthesia which will result in a quick loss of consciousness. It has quick wake-up time also. But, it is pricey and most Veterinarians are already using Isoflurane. Isofluorane safety helped veterinarians to administer safe anesthesia in the modern day. Older or compromised patients, pregnant patients and those with heart problems benefit. Isoflurane takes a little longer to both lose and regain consciousness. Also, it is a little more cost effective. So it is a good practice to use sevoflurane to induce anesthesia. Then switch to isoflurane to maintain anesthesia during the procedure. The gasses are very common in human medicine but few veterinarian practices have both. The advantage of gas anesthesia is the control of the depth of the anesthesia. It can deepen it or lighten it as needed during a procedure. If there is a complication, the veterinarian may wake up the cat almost immediately if it is safe to do so. While there is no 100% safe anesthesia, gas anesthesia has the fewest associated risks. Propofol is the injectable of choice for some veterinary procedures. It is quick-acting, offers a rapid recovery period, and has little drug after effects. Yet, for cats with certain liver diseases, propofol is not good since the liver metabolizes it. There is no such thing as the perfect anesthetic for all animals. There is always the potential for risk with any of them. Please do your homework and talk to your veterinarian before allowing any procedure requiring anesthesia. * Reversal agents are any drug that reverses the effects of anesthetics, narcotics or potentially toxic agents. Veterinarians or their assistants will use a ‘reverse,’ sometimes, to bring an animal out of the anesthesia once the procedure is complete. 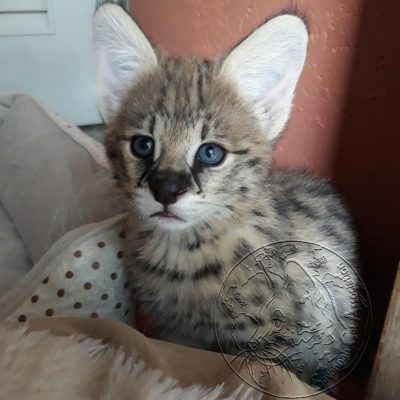 Savannah Kitten Care Savannah Cats and Children Are Savannah Cats Destructive Why are Savannah Cats expensive?